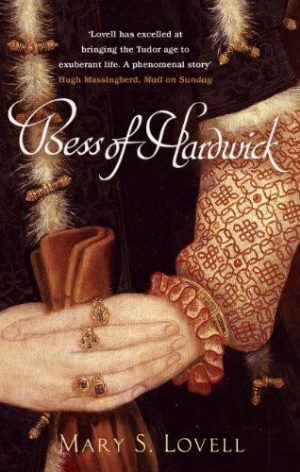 The story of Bess of Hardwick is one of determination, grit, ambition and clever management. Born a poor gentleman farmer’s daughter, she died a countess and grandmother to a possible heir to the throne. She married four times, and was sincerely attached to all her husbands, although her final marriage disintegrated under unbearable pressures. Bess amassed a vast fortune and her descendants have held high positions in English society for 400 years. Like most women, Bess never left England, but she travelled regularly between her native Derbyshire and London, and to the estates of her third husband in Somerset, as well as with the court. Bess began her life in dire financial circumstances – the laws relating to underage heirs, to marriage, inheritance and women’s property rights influenced everything she did. A clever and practical woman, she used the law and her network of connections to protect herself and her family and to build a huge inheritance for the dynasty she founded. Two biographies of Bess of Hardwick have been written in the last twenty years, one by Mary S. Lovell, and one by David Durant. Bess also features as a walk-on part in many histories of the Elizabethan age.